The Crockett Public Utility District Natural Gas Extension to the Town of Gadsden has made high quality natural gas service available to approximately 250 potential new customers including an elementary school, a cotton gin, churches and residences, providing significant savings and convenience when compared to alternate energy sources. The major components of the project include 3,300 LF on 4-inch steel line, 92,000 LF of 2-inch and 4-inch polyethylene line, 150 customer service assemblies, 17 stream crossings and a railroad crossing. 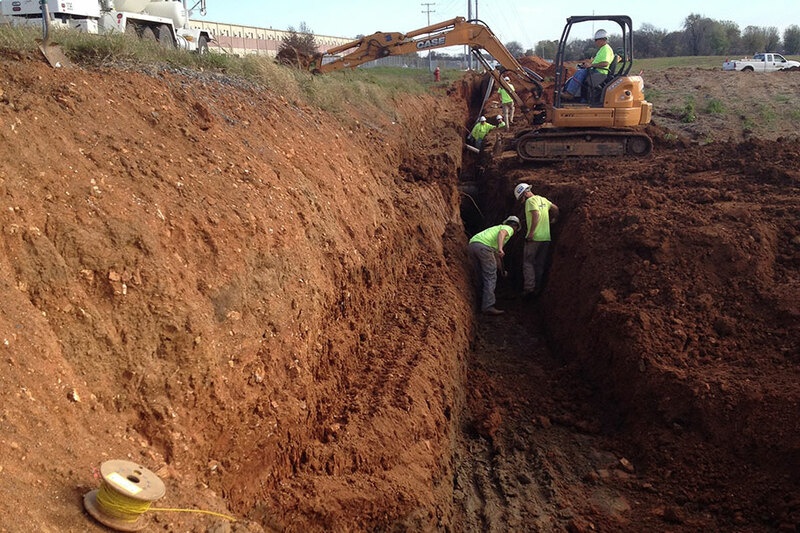 Scope of work included the evaluation of existing conditions, determination of the proposed project impact on the existing system under peak anticipated flow conditions while allowing for future growth, design and preparation of plans and specifications, an Archaeological Study, Wetland Delineation, obtaining CSX Transportation and Tennessee Department of Transportation permits, preparation of Stormwater Pollution Prevention Plan and Aquatic Resources Alteration Permit applications, construction administration, construction observation and project close-out. 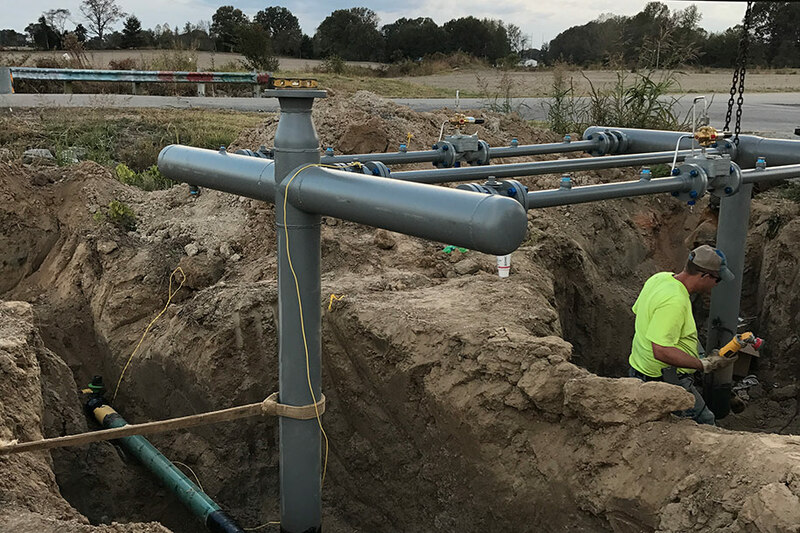 The Natural Gas System Improvements for the Crockett Public Utility District was completed April 2017. 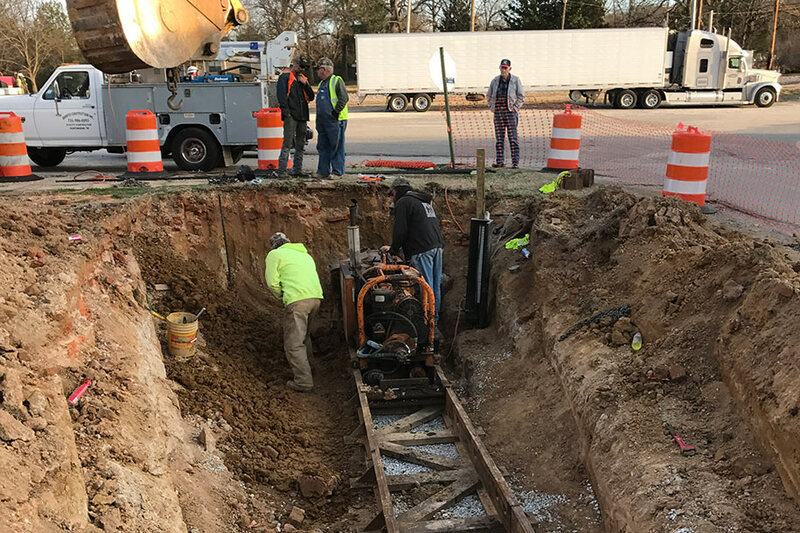 This project demonstrates Hussey Gay Bell’s experience with the extension of natural gas facilities to unserved areas via open cut installation. A distribution model was created to determine the impact of the proposed project on the existing system while allowing for future growth demand. This project required coordination with the Crockett Public Utility District staff to determine the existing system capabilities and evaluation of proposed and alternate routes.